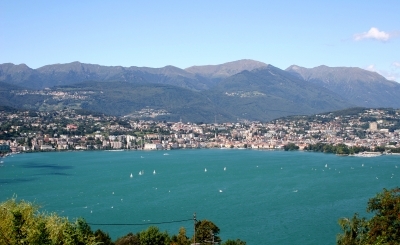 Enchanting and quiet area, a typical Mediterranean landscape of Ticino, with a fantastic view of the entire gulf of Lugano and in a wonderful area for walking. 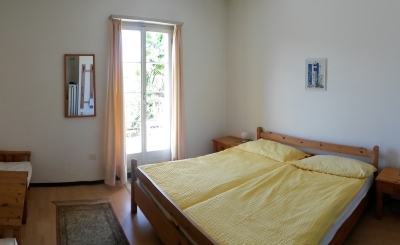 30 beds in cozy rooms, almost all with bath, WC and balcony, flat screen TV. Restaurant with panoramic terrace and pergola. 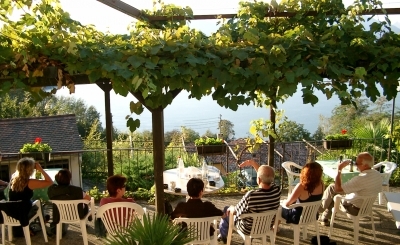 Kitchen with freshly prepared Ticino specialties and wines from the region. 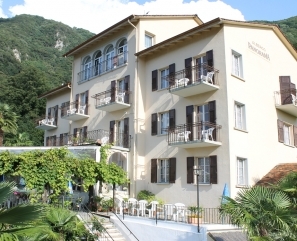 Around the hotel a small swimming pool with hydro-jet, lawn and fantastic view over the lake and Lugano, everything for romantic Ticino holiday. In the south part of Switzerland, mild climate with palm trees and lakes and the Mediterranean ambiance provides an ideal place to rest and relax for families, seminars, weekly courses, a place of relaxation and reflection. A dynamic, constantly surprising region with a beautiful landscape and a traditional kitchen. From the lake over the mountains to the numerous vineyards - here are unique cultural, dining and shopping experiences no empty promise!